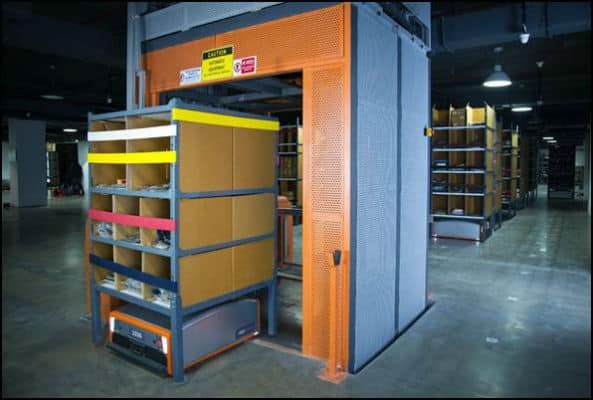 GreyOrange, the global leader in AI-powered robotics systems for flexible automation in distribution and fulfillment centers, is establishing its U.S Headquarters in Atlanta, Georgia. To better serve local customers and meet market demands, the company has announced 50 new open positions across various departments. In its first client site in the U.S., GreyOrange will deploy 740 robots in Atlanta, and create several thousand jobs across this and other initial client sites. To further support its growth, GreyOrangeTM has started setting up its local manufacturing facility in the U.S. which will be completed in 2019. In the next three years, the facility plans to manufacture and deploy an additional 20,000 robots in the U.S. The company has been recognized as one of the world’s Top 50 Robotics Companies every year since 2016, and the co-founders have been acknowledged as top 35 global innovators by MIT Technology Review. GreyOrange is also opening a research and development (R&D) center in Boston, Massachusetts, to further expand its technology development capability and propel innovation in robotics logistics. GreyOrange plans to build a team of more than 60 engineers for R&D in AI, human-machine interface (HMI), machine vision and data intelligence, adding to the current global team of 250 R&D engineers. GreyOrange selected Atlanta and Boston for their respective reputations for excellence in supply chain and emerging tech. With the robotics segment of the materials handling equipment market expected to reach over $20 billion by 2024, the U.S. is ripe for robotics innovation. To drive GreyOrange’s rapid growth in this market, GreyOrange recently hired Chris Barber to lead as Regional CEO, North America. Barber joins from Honeywell Intelligrated where he served as Vice President, Southern Operations. He was a key member of the senior management of Intelligrated, a leader in supply chain and warehouse automation solutions before its acquisition by Honeywell in 2016. In his new role, Barber will oversee GreyOrange’s expansion starting with the U.S., bringing supply chain innovation and streamlined solutions powered by AI to e-commerce, retail and logistics customers. The company’s intent is to expedite and automate the delivery process from warehouse to customer by reducing 10-15% of supply chain inventory in transit. With less excess inventory, companies can run their supply chain more efficiently. With customer sites located across the globe in Japan, India, APAC, Europe, Latin America and the U.S., GreyOrange serves e-commerce, retail, consumer electronics, fashion, third-party logistics, fast-moving consumer goods, apparel and industrial tools companies. For one client in Japan, the company saw a 15% increase in warehouse storage efficiency and a 4x increase in throughput from the same warehouse. Another client in Latin America was able to fulfil 50% more orders while significantly reducing operational expenses. GreyOrange Expands Its Global Footprint, Opens U.S. Headquarters in Atlanta 0 out of 5 based on 0 ratings. 0 user reviews. Will Data Privacy Hold Relevance in a Country like India?